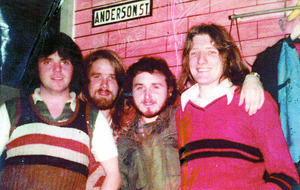 Brendan J. Byrne’s critically acclaimed documentary Bobby Sands 66 Days has become one of the biggest Northern Irish films ever at the Northern Ireland Box Office surpassing recent hits Steve McQueen’s Hunger which starred Michael Fassbender and the Terri Hooley bio-pic Good Vibrations. While Hunger took £109k and Good Vibrations took £103k in total at the Northern Ireland Box Office, Bobby Sands 66 Days which is heading into its fourth week of release, has taken £110k so far. This figure is set to grow even more as the film continues to draw audiences with sold out screenings and new cinema openings including the Odyssey in Belfast today. Speaking about this milestone, director Brendan J. Byrne said “This is simply fantastic news. This film has been dear to my heart and thus far, is certainly the pinnacle of my documentary making career. I knew it was very important subject matter and we hoped that it would attract audiences north and south. The sheer box office success of 66 Days, added to our critical acclaim, has been a little unexpected but very welcome for everyone on the production team. It just proves that people do love a good documentary and now that the box office for 66 Days has even surpassed two fiction films - both of which I admire hugely (Hunger and Good Vibrations), I hope we’ll see more documentaries in our local cinemas. Bobby Sands: 66 Days is just the first of a number of exciting feature documentaries from Fine Point Films due to premiere at major international film festivals in the next 12 months." The controversial documentary which is a portrait of Bobby Sand’s 66-day hunger strike has garnered much publicity and debate on both sides of the border. Galway Film Fleadh kicks off today and to celebrate the 'Cannes of the Corrib' festival we've picked five must-see Irish movies for your viewing pleasure. 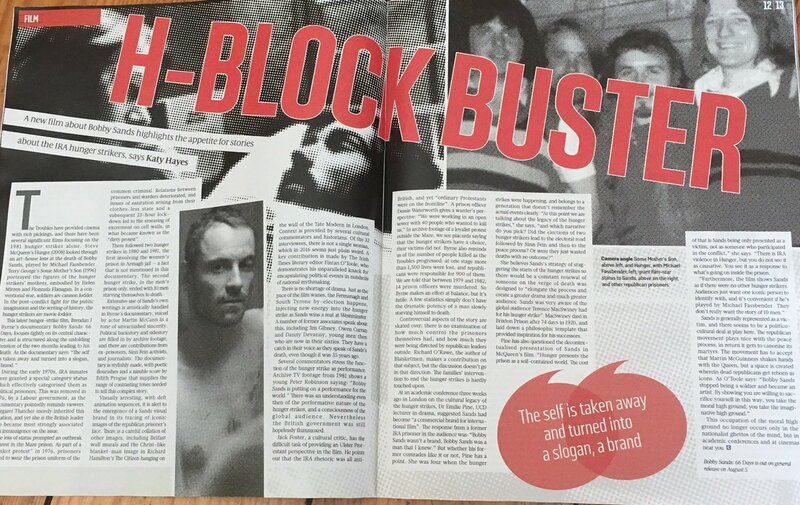 The Young Offenders is a comedy road movie is based on a true story of Ireland’s biggest cocaine seizure in 2007. You're probably wondering how you could make a comedy movie out of drug smuggling but trust us, this works. The main characters of the story are best friends Conor and Jock, who are two peas in a pod when you get down to it. When a cocaine smuggling boat capsizes off the coast of West Cork and 61 bales of cocaine, each bale being worth €7 Million, are seized by law enforcement word gets out a bale is missing. Hoping to escape their troubled lives by selling the missing bale, the boys steal two bikes and go on a bike journey to find the missing bale. Directed by Peter Foott, with a cast including Chris Walley, Alex Murphy, Hillary Rose and PJ Gallagher. Echoing Steve McQueen's Hunger, Bobby Sands: 66 Days is a documentary that explores the remarkable life and death of the Irish Republican, whose actions continue to inspire people today. The film is composed of Sands’ own words that are taken from his hunger strike diary which gives a unique insight into the man whose death marked a turning point in the relationship between Britain and Ireland, and brought a global spotlight to the Northern Irish conflict which later caused international efforts to intervene to reach a resolution. Directed by Brendan J Byrne. 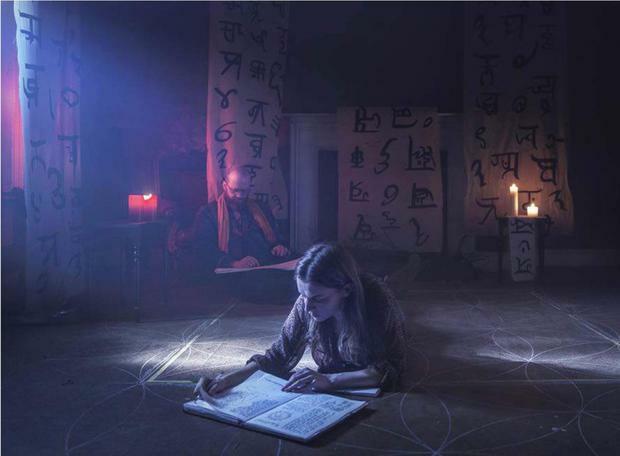 A Dark Song is an Irish horror that follows a young mother by the name of Sophia who moves to an old house in the remote countryside so she can enlist the help of an occultist by the name of Solomon. She requires his help to perform The Abramelin; an ancient invocation ritual which will allow them to summon up Sophia’s guardian angel so her wish can become true. In order to complete the ritual they must seal themselves in the house for months as it plays out. As the ritual continues they run the risk of going mad. Directed by Liam Gavin with a cast including Catherine Walker,Steve Oram, Mark Hubberman and Susan Loughnane. Property of the State is a drama based on a true story that shocked the Irish public in 1990, it tells the story of a disturbed man called Brendan O’Donnell from the perspective of his sister Ann Marie. Bit by Bit she pieces together the events that led to the horrifying murders of a young mother, her child and a local priest in a forest located in East Clare, Ireland. Directed by Kit Ryan with a cast including Patrick Gibson, Aisling Loftus, David Rawle and Elaine Cassidy. 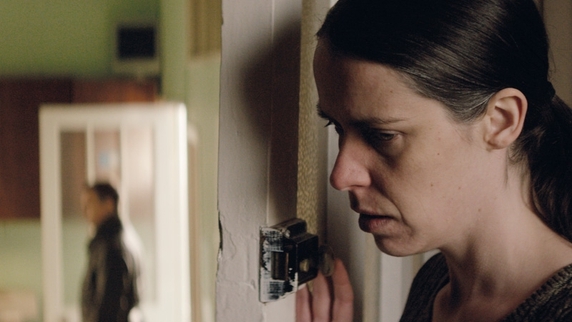 A Date for Mad Mary is a Tender and tough about friendship, the main character is “Mad” Mary McArdle returns to Drogheda after a short prison sentence for something she doesn’t want to remember. Back in Drogheda, everything and everyone is different. Her best friend Charlene is getting married and asks Mary to be a maid of honour, but when Charlene takes away Mary’s plus one privileges stating that she probably wouldn’t be able to find a date, Mary finds a determination to prove her wrong , but her attempts at dating are a disaster and she winds up feeling more alone - until she meets Jess and everything changes. Directed by Darren Thornton with a cast including Seána Kerslake, Tara Lee, Charleigh Bailey, Denise McCormack and Siobhán Shanahan. Galway Film Fleadh takes place between July 5 and 10 with a programme that features over 150 films from 60 different countries. It’s the middle of the year. That busy awards season has receded in the mirror. We’ve seen a new cinematic year launched at Cannes. That Toronto/Telluride/Venice Trifecta is still a safe distance away. This must mean it’s time for The Galway Film Fleadh. Launched in the 1980s, when it still felt slightly mad to be a film person in Ireland, the event has now become a much-loved institution. Nowhere else will you see quite so many new domestic features. We’ve already seen a few of the best films. A few others have kicked up some kerfuffle elsewhere. If you are making your way to Galway — or remaining there — for the Fleadh be sure to keep eyes open for the many special events. Ruth Negga and Jim Sheridan are both hosting masterclasses. My colleague Tara Brady will be there on Saturday for discussions on “Women in Film”. Heck, just stand outside the Town Hall for five minutes and you’re sure to encounter somebody interesting. 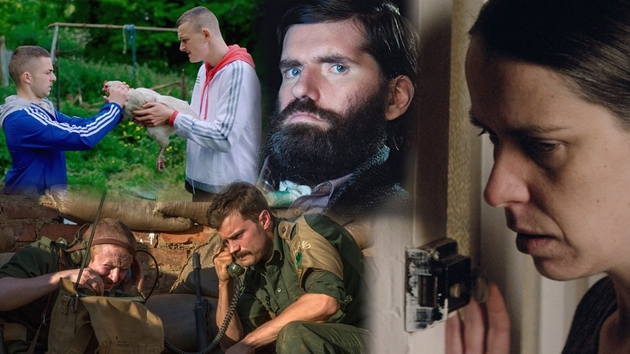 Anyway, here are five Irish releases to see. There are many, many more where that came from. The annual Galway Film Fleadh starts on Tuesday, with over 150 movies for audiences to look forward to over its six day run. Harry Guerin picks out a handful of the ones that he's excited about, and finds out more from the people who made them. Winner of the Special Jury Award for Visual Excellence at the world famous SXSW festival in the US, Benjamin Dickinson's Creative Control opens this year's Fleadh. The story is set five minutes in the future as ad executive David Conway (played by Dickinson and named in honour of his Irish great-grandfather) borrows the 'Augmented Reality' glasses from the campaign he's working on to bring a different outlook to his own love life. "It's about the three-headed hydra of technology, drugs, and consumer capitalism," says Dickinson as he gears up for his first visit to Ireland. "It's about addiction, it's about the inability of privileged persons to have intimate relationships with one another, and it's an attempt to find the humour in all of that. I expect Irish audiences may have some familiarity with these themes. I hope so; if not, at least the images are nice to look at!" Caoilfhionn Dunne brought contract killer Lizzie unforgettably to life in RTÉ'sLove/Hate, but her role in this drama may prove to be just as big a talking point - this time as part of the national dialogue on depression. Dunne plays Ruth, an alcoholic Garda trying to come to terms with the loss of her baby and husband in writer-director Ciarán Creagh's film. Given the power and nuance of Creagh's script for the Colm Meaney-starring homeless drama Parked, much is expected of his debut feature. "It's an emotionally suffocating experience that, while uncomfortable, is incredibly potent and Caoilfhionn Dunne as Ruth is magnificent," he says. "I know people have to say this and that, but when you see her in this she is just amazing." American director Justin Lerner is making his second visit to the Fleadh, having brought his first film, Girlfriend, to the City of the Tribes in 2011. His follow-up tells the story of Davis Green (Running with Scissors star Joseph Cross) who receives a late-night visit from Alexis (Adelaide Clemens) - the cousin he never knew existed. So just what tore their families apart? "It's the type of film that's best experienced in a large crowd on a big screen," says Lerner, "given the subject matter and some of the more intensely awkward scenes, namely, the 'family dinner sequence', which has not failed in any of the seven countries where we've screened to elicit shouting, gasping, and screams. It will be fun to see what Ireland thinks of the film. If anything, it will make anyone with their own crazy family feel a little better about it all!" Domhnall Gleeson had quite the 12 months with Brooklyn, The Force Awakensetc, but 2016 looks like being the year when brother Brian really gets in on the big screen - ahem - action, starting with this Middle East-set thriller. Based on Mayo man Mick Donnellan's play Radio Luxembourg, it tells the story of two mercenaries (Gleeson and Damien Molony) who are en route to kidnap a powerful man's daughter when their past catches up with them. Donnellan has also adapted the story for the screen and says it's a "great buzz" to see Tiger Raid come to the city where his play premiered in 2014. As to what's in store for the Fleadh audience, he says: "The tension is almost unrelenting until it's burst by the black comedy that reminds us we're in a highly volatile world where any amount of violent things could happen - and usually do!" We like the look of them stripes. Really intriguing one this - filmed in Belfast, and North Korea. Director David Kinsella wanted to make a documentary about a poet in North Korea but the regime saw the film as a vehicle for propaganda. So, changing tack, Kinsella filmed in such a way that his visuals could be overlaid with animations when he left North Korea to tell the real story. But there's a deeply personal element, too, as Kinsella realised that the North Korean line of "all foreigners are spies and evil" was the one he had been told as a child in Belfast. "People need to know," he says. "They need to realise, that if you let someone else define reality, you become a mindless slave. Everybody should see for himself. Learn for himself." You could spend an hour just gorging on the visuals in the trailer. 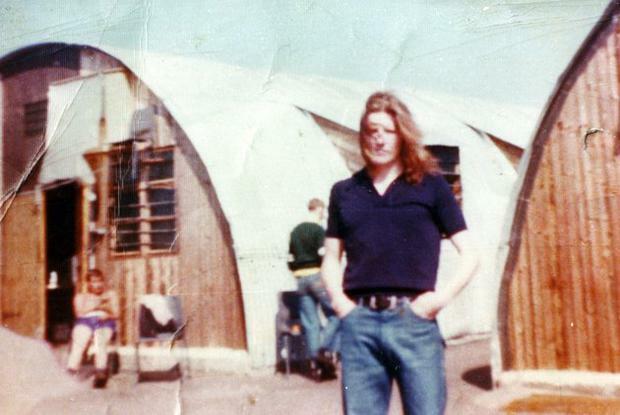 When Republican Bobby Sands went on hunger strike in the Maze Prison in 1981, director Brendan J Byrne was a teenage Belfast schoolboy, and he describes the events of that year as a "seminal moment" in his young life. "There have, of course, been several fiction films made already which have dealt with Bobby Sands," he says, "but I felt that a significant narrative deficit remained in terms of understanding who Bobby Sands was. "I've focused my attention on the real Bobby Sands through an exploration of his ideology, his writings and the foundations of his Irish Republican heritage. Who was he, where did he come from, what politicised him, and what eventually drove a young 27-year-old father of one to pursue a deadly hunger strike against the wishes of the IRA leadership?" The Glasgow music scene of the 1990s carved out its own little republic in the mind of young Irishman Niall McCann. So when McCann was searching for an idea for his second documentary he looked across the water for inspiration and found a great hook. Way back when, a bunch of Glasgow bands loaded up the buses and headed off to play a gig in remote Brittany. "This trip, it seems, was a punctuation point between childhood and adulthood, music as a hobby and music as a livelihood," says McCann. "The idea occurred to me to try and take them back there, to that little town in France in the middle of nowhere, and give them the space to reflect on their lives, their art and their friendships." So, a trip down memory lane with the best of soundtracks - but also an opportunity to examine just how much making music has changed from those wonder years. Director Darren Thornton made a lot of friends at the Fleadh back in 2007 with his short Frankie, and now he's hoping for the same kind of feedback from the Irish premiere of his first feature film. Just released from prison 'Mad' Mary McArdle (Seána Kerslake) comes home to Drogheda but finds a lot has changed since she's been away. Best friend Charlene (Charleigh Bailey), meanwhile, is getting married and Mary will be the maid of honour. But there's a catch: Charlene won't put Mary down as a 'plus one' because she reckons Mary won't be able to get a date. Mary, however, is out to prove her wrong. But will everything work out for the best just in time? A world premiere at the Fleadh and, by the looks of it, Irish feelgood at its finest. Having racked up the YouTube millions (views, that is) with his promo video for The Rubberbandits' Horse Outside, Peter Foott is out to capture the spirit of The Gooniesand Stand by Me in his feature debut. The film is inspired by the record 2007 seizure of €440m worth of cocaine off the Cork coast, along with a less-publicised story: the 160-km bike adventure Foott took down to West Cork as a teenager. "We were totally under-prepared and everything that could go wrong did go wrong on this trip," he laughs. "I just married the two stories together: my experiences of cycling down and that news story of the cocaine getting washed up." And so Foott's main characters Conor and Jock (played by newcomers Alex Murphy and Chris Walley) get pedalling in the hope of a finding a missing bale and striking it rich. It's all about the timing... As Europe tries to make sense of the Brexit result, visual artist Fiona Tan's film is billed as "one man's odyssey through a Europe in turmoil".Adam & Paul's Mark O'Halloran plays 'MP' (Missing Person), a mugging victim who has suffered amnesia and is on a quest across the continent to try and put the pieces together and, perhaps, gain a new identity. "The idea stemmed from the very recent past, everything that has happened here in the last eight years - the financial crisis, the ensuing crises," explains Tan. "In that sense it is very simple. I try to map for myself the feelings citizens of Europe, and that includes myself, are currently experiencing. But those feelings themselves are quite complex. Perhaps that makes the film a bit complicated. 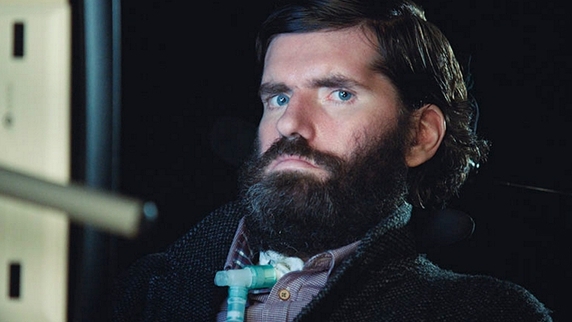 Also, there is no answer yet, no conclusion because we are still right in the middle of it..."
Colin Farrell narrates this eagerly-awaited documentary, which tells the story of Irish writer-director Simon Fitzmaurice's life with motor neuron disease. It's Not Yet Dark is based on Fitzmaurice's acclaimed 2014 memoir of the same name, a book which Farrell described at the time of publication as "a beautiful love story". Despite the ravages of the disease, Fitzmaurice released his first feature film, My Name is Emily, earlier this year after its debut in Galway last summer and in It's Not Yet Dark director Frankie Fenton follows him as that big screen dream becomes a reality. 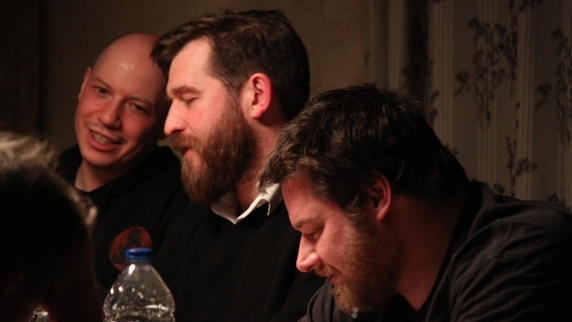 "If I have managed to get even an ounce of the spirit and fight that flows through Simon Fitzmaurice onto that screen you will hopefully be in for an uplifting and life-affirming experience," he says. We have no doubts. Hankies at the ready - and probably not a dry eye in the house at the Irish premiere at the Fleadh this weekend. Having wowed audiences across Ireland back in 2010 with his longform love letter His & Hers - seventy women across the Midlands talking about the men in their lives - director Ken Wardrop returns to the ties that bind for his long-awaited follow-up. This time, however, he's focussing on the relationships between mothers and sons, with the US, and in particular the state of Oklahoma, as the backdrop. As with His & Hers, Wardrop's subjects are from all walks of life. "As you get to a certain age and your parents get older you do worry about the future and how to look after them and so on," says Wardrop. "It's something that I think certainly inspired this film." If the trailer is anything to go by, it seems that the American Mammy and her Irish counterpart have a lot more in common than just the 'grown-up boys' in their lives. When first announced two summers ago, Dublin director Richie Smyth's film sounded like one of the most interesting Irish movies in quite some time. Streaming giant Netflix clearly thought so - it bought the rights for its 81 million subscribers around the world. But it's the audience at the Fleadh that will have the opportunity to put eyeballs onThe Siege of Jadotville first. 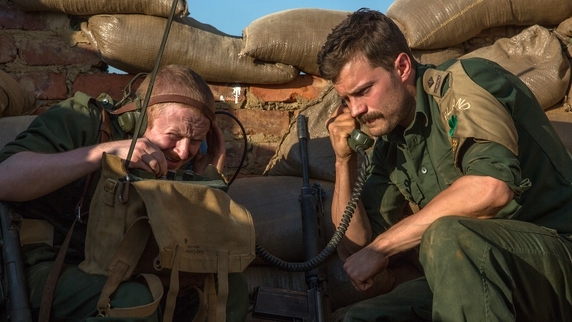 Starring Fifty Shades of Grey's Jamie Dornan, it tells the true story of the 150 Irish UN troops under the command of Commandant Pat Quinlan (Dornan) who were attacked by forces loyal to Katangese Prime Minister Moise Tshombe in the Congo in September 1961. No trailer yet, but you can feel the grit and tension in all the production photos released thus far. It looks like the Fleadh has found a really special film to close the festival again this year. When director Len Collin saw Christian O'Reilly's play Sanctuary about intellectual disability and romance he knew it should be a film. "It was funny, thought-provoking, heart-breaking, but most importantly, it was a world that's never been seen on film outside the documentary arena," explains Collin.Watch the trailer and feel your heart melt. Playwright O'Reilly has written the script and stars Charlene Kelly and Kieran Coppinger have reprised their stage roles. "It's a film that will make you laugh, give you a lump in your throat perhaps… but the one thing it won't do is disappoint you," Collin maintains. "The world premiere is at the Film Fleadh… I want Galway to tell the world how good it is." IRA VOLUNTEER, hero, martyr, terrorist, criminal, political prisoner, poet, MP for Fermanagh-South Tyrone, writer, icon, Irish Republican - Bobby Sands was some of these things, and he has been described as all of these things. In this year of the 35th anniversary of the 1981 hunger strikes, the leading and iconic figure in that event, Bobby Sands, is the subject of a new documentary, Bobby Sands: 66 Days, directed by Brendan Byrne, will be screened on Friday July 8 at 4pm in the Town Hall Theatre, as part of the 2016 Galway Film Fleadh. The best place to get to know Sands is through his prose and poetry as collected in his book Writings From Prison, but Sands' life and actions also had very wide and far reaching consequences. The hunger strikes saw the IRA (and INLA ) in a duel to the death with Margaret Thatcher in a demand for the right to be recognised as political prisoners. Thatcher refused to give way and won praise for her stance. Yet, after the hunger strikes were called off, the prisoners demands were quietly met. In the following years, British diplomats were instructed that the strikes were a defeat for the UK government. Sands' stance turned him into an international figure, and his election as an MP became a powerful argument for Sinn Féin to embrace politics, leading the movement towards eventual ceasefire and the peace process. 66 Days tells the story of Sands’ life on film for the first time, based on the diary he kept for the 17 days of his hunger strike, along with eye-witness testimony, unseen archive, reconstructions, and animation. Alongside this, the film also seeks to understand the events that first politicised Sands and the influences of Irish Republican history on Sands’ actions. Variety said of the film: "This finely crafted documentary may well long stand as the most balanced among such treatments, as it respectfully examines Sands’ folk-heroic legacy rather than simply amplifying it." Tickets are available from the Town Hall on 091 - 569777 or www.tht.ie There will be a panel discussion post-screening with Brendan Byrne and The Irish Times' Fintan O’Toole. Dir. Brendan J. Byrne. Ireland/UK. 2016. 105 mins. This evocative documentary about the death of IRA hunger striker Bobby Sands in 1981 probes some deeply contentious issues which benefit from a cooler 35-year perspective. Veteran documentarian Brendan J. Byrne’s sensitive and balanced film peels back the years to show Northern Ireland in the grips of its troubles, then carefully layers in historical context with modern-day theorising. Empathetic editing by Paul Devlin makes Bobby Sands: 66 Days important for those with an interest in subjects ranging from Northern Ireland itself to the development of modern-day terrorism and the iconography of the armed struggle. This intelligent, yet humane documentary should enjoy long play as a learning tool, after its Sheffield Doc/Fest Competition slot and Storyville TV outing. A fictionalised version of Bobby Sands has been presented on film before, in Steve McQueen’s Hunger where he was played by Michael Fassbender, but also in Terry George’sSome Mother’s Son (played by John Lynch). This Irish Film Board/Northern Ireland Screen/BBC Northern Ireland/Storyville-assisted project nourishes the story, taking the image of the poet-revolutionary Sands off the protest banners and the Falls Road murals and awarding him political and military context with some interesting observations from Irish commentator Fintan O’Toole about the mythology surrounding his death and his own “artistic triumph”. Sands is a hard figure to flesh out, an ideal blank slate on which to reflect a movement argues Byrne’s piece. Born in 1954 on the outskirts of Belfast, he was forced to abandon his home and, eventually, his job, through sectarian harassment, and was a natural candidate to join the Provisional IRA at the age of 18. During the height of the Troubles in 1972 - the year which started with Bloody Sunday and ended with almost 500 killings - he was jailed for the first time for weapons possession, eventually released, and imprisoned again in 1977 for the same crime and sentenced to 14 years in jail. Bobby Sands didn’t live much outside the Republican struggle, jail consumed his brief adult life and a short-lived marriage gave him a son he never saw. By the time Sands led the second hunger strike at the Maze prison, starving himself to death for the right to be classified as a political prisoner, he was firmly directing his own destiny, conscious of his place in history. Moving backwards and forwards through Sands’ life within the framework of these 66 days, Bobby Sands provides a vivid picture of Northern Ireland at that time. Byrne has assembled an absorbing array of commentators from all sides, from Gerry Adams to Norman Tebbit and Margaret Thatcher’s biographer Charles Moore, to Sands’ election agent Owen Carron (still a so-called ‘on the run’). Placing Sands within the context of political martyrdom and rebel iconography is helpful towards understanding what took hold of Northern Ireland at that time. The documentary is keen to remind viewers that 3,500 people died during the Troubles, and that Sands was only one of 10 hunger strikers who starved themselves to death to make a point which, although difficult to understand now, is clearly explained here. The effectiveness of the action - prompting Sands’ election as a British Member of Parliament during the strike, newsflashes across the world on his death, followed by rioting - is also startlingly clear. 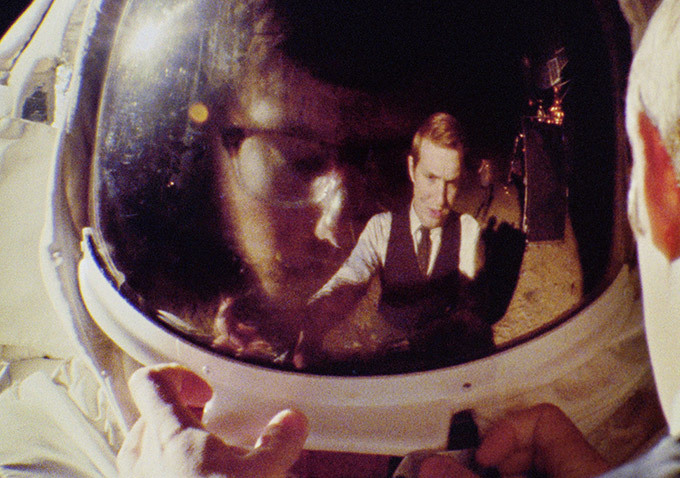 Martin McCann voices Sands’ diary entries and poetry, evocative of Steve McQueen’s film. For centuries in Ireland under the system of justice known as the Brehon Laws, if you wanted to protest a wrong done to you by an offending party and could find no satisfaction from the perpetrator, you had the final option of sitting on their doorstep and protesting the injustice through a hunger strike. It was a last course of action, one usually taken by the powerless against the mighty, but it was a particularly effective one. In the Irish parlance, you had the right to make a holy show of the person who had wronged you. In a move that Irish society considered perfectly acceptable, you could publicly shame them from sunrise to sunset. The nation was then, and is still now, a distinctly communal one, a place where your reputation is a thing of great consequence, and where loss of face means loss of status. I bring this up in reference to Bobby Sands. For years in the North, Republican prisoners were granted “special category status” which afforded them different treatment from ordinary offenders, but by 1977 that category was eliminated by the British government. In response to the change Sands, who had been imprisoned twice on weapons possession charges, joined his fellow Republican prisoners in a series of increasingly dramatic protests to amend their status. Then came the era of Margaret Thatcher and the kind of no quarter politics that prolonged the standoff and frankly the war. By 1980, at 27, Sands had spent one-third of his life in prison. His final response to the long stalemate was to commence a second hunger strike, an action that was not favored by the Republican leadership after his first one had ended. But in the end he proceeded with his plan and he was joined by several others. In the 66 days between the start of his fast and his eventual death, he changed the course of Irish history. Firstly, Sands’ action reminded many that there was a much more effective way to respond to the conflict than through force of arms, a development that would ripple and carry forward for years after his passing. Even the implacable Thatcher was outmaneuvered on the world’s stage, eventually granting most of the Republican prisoners' demands. Secondly, he brought the world’s attention to bear again on the North after the decade-long campaign of violence had caused many to look away. This was a David vs. Goliath human drama that people could understand. Thatcher was not thrilled to find herself cast in the role of pitiless aggressor and she was privately furious. That outmaneuvering was at every turn. “How can I talk to the prisoners when they have no support, no mandate?" she had asked. That question was answered when Sands was elected by the people of Fermanagh and South Tyrone, with more votes than Thatcher had picked up in her home constituency of Finchley. Her response was to refuse to negotiate and to change the law to prevent other prisoners from running. Thirdly, Thatcher’s give-no-quarter approach backfired spectacularly. Far from demoralizing her opponents, it actually radicalized a new generation, sent countless new recruits to the IRA, and coupled the armalite with the ballot box, a development that transformed Sinn Fein’s political fortunes. A new documentary titled "Bobby Sands: 66 Days" by director Brendan J. Byrne tells the story of this time and separates the man from the myth. The film looks at the violent events that first politicized him and the growing historical awareness that radicalized his thinking. What you may not know about Sands, what the British portrayal of him as a violent thug and the hands-off approach of the Dublin government both tried to capsize, is that he spoke and wrote with a maturity that belied his years. In prison, he wrote, “I would think back to the days of my youth.” Incarcerated for so long that the only escape was in his imagination, he would daydream about his childhood. The contrast between the freedom of it and where he found himself later helped him steel himself for his hunger strike. His death 35 years ago brought the whole of Ireland to a standstill, in a moment of shocking clarity that made all parties to the conflict take stock while the world looked on. That moment may have been a Rubicon, a moment in which Sands’ actions changed how many approached and thought of the conflict itself. Some would argue that it led on to later political settlements too. Meanwhile Byrne's new documentary about his life and legacy carefully recreates the period and is already being hailed as one of the most visceral and comprehensive films about the Troubles ever made. It will be released in the U.S. later this summer. The Toronto non-fiction celebration is a good opportunity to showcase some of the best new documentaries of 2016. Documentaries are flourishing on film and television alike, but few film festivals provide a platform for the art form on the scale of the Hot Docs International Documentary Film Festival, which opens its 26th edition this week in Toronto. The widely-attended event unites influential figures in the non-fiction filmmaking community with general audiences eager to consume a broad spectrum of new work. This year's edition features a whopping 232 titles from 51 countries. Here are five notable highlights. It’s a testament to the quality of filmmaking that Bobby Sands: 66 Days comes across neither as a piece of propaganda, a screed, or a dry piece of journalism. Ambitious and often ambivalent about Bobby Sands’ drive for martyrdom, filmmaker Brendan Byrne and his team manage to tie the tale of the famed hunger striker to the greater struggles that were taking place in Northern Ireland, assembling a diverse and loquacious group to tell their sides of the tale. The film uses the 66 days of Sands’ terminal fast as the launching board for a greater discussion, tracing events back to the early Seventies when the origin of Northern Ireland’s modern troubles began, all the way through to the entire of Ireland’s early 20th century’s struggles against British rule. So often the narrative of what took place in Northern Ireland has been presented in stark terms, but here Byrne manages to flesh out the sheer complexity of the forces involved, including the reticence of the Republic of Ireland’s government in Dublin to be seen as fostering the behavior of a convicted terrorist. Sands’ actions ended up being both effective and damaging to the Irish revolutionary ideal. By tracing the physiological, psychological and philosophical torments that Sands suffered, the film effectively uses his strike as a touchstone for deeper analysis of this period of history. With fine motion graphics, some effective (and overt) recreations and a series of talking-head interviews from a laudably diverse group, Byrne’s 66 Days is an extremely effective take on the history and legacy of Sands, as well as touching upon the universality of the lessons the hunger strike continues to play on so many of us decades later. The Toronto-set event has revealed 14 more documentaries featured in its Special Presentation program, joining the 15 films announced earlier this month. The section includes a selection of world and international premieres, in addition to stand-out docs from recent international festivals.Rothwell, who screened his Greenpeace documentary at Hot Docs last year, will return with Sour Grapes. Co-directed with Reuben Atlas, the doc centers on wine fraudster Rudy Kurniawan, who deceives the American market with fake vintages valued in the millions. Netflix and ARTE are attached to the film.Brendan Byrne’s Bobby Sands doc, meanwhile, tackles a turning point in the Troubles in Northern Ireland, as told through the diary entries of the titular activist, while Darby Wheeler’s Hip-Hop Evolution finds Canadian rapper Shad traveling to the Bronx and Harlem to talk with hip-hop icons including Kool Herc, Afrika Bambaataa and Grandmaster Flash. International premieres headed to Toronto include Bill Ross IV and Turner Ross’ Contemporary Color, Dawn Porter’s Trapped, Roger Ross Williams’ Life, Animated, Stephanie Soechtig’s Under the Gun, Clay Tweel’s Gleason, and Ferne Pearlstein’s The Last Laugh.Remaining titles in the Special Presentations program and the full selection of films at the festival are to be announced on March 22, including the opening night selection. Hot Docs runs from April 28 to May 8.